Hi everyone! I am up on the Echo Park blog today with this fun cupcake box that I made using a combination of Silhouette cut files and Designer Dies. 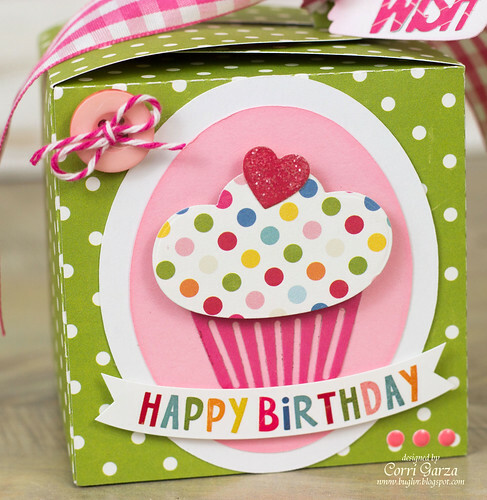 This fun cupcake box is from Lori Whitlock and it comes with an insert to hold the cupcake in place. 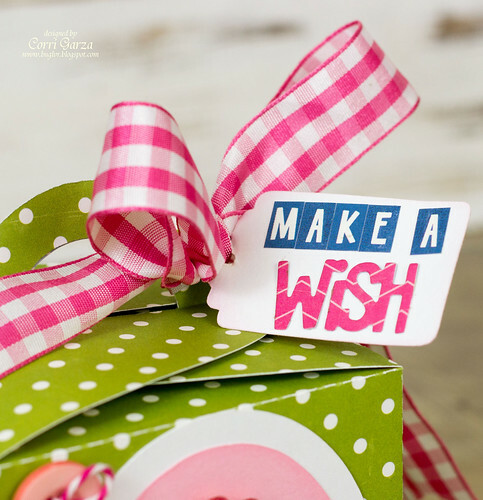 What a great way to surprise a friend with a little treat on their birthday! 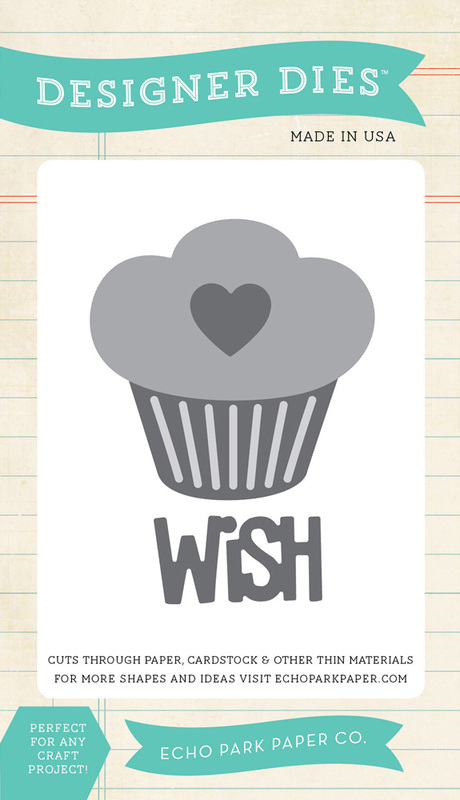 For the front of my box, I cut the cupcake with my manual die cutting machine and the Cupcake Wish Designer Die Set. 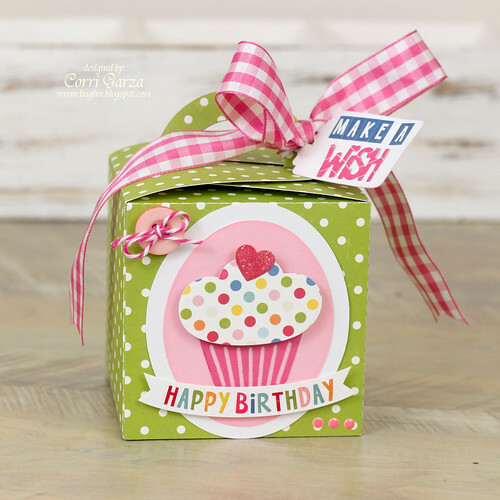 I cut some oval mats from this file to create a background for my cupcake then layered everything together an glued to the box front. Finally, I cut a tag with my Cameo and added some stickers and the "wish" portion of the Designer Die set. It's fun to mix Silhouette Shapes with the Designer Dies. With the latest release of Designer Dies and all the files in the Echo Park's Portfolio, the possibilities are endless!